It turned out (to be) as expected. I had scarcely left the parking ground when I noticed four colleagues standing at the first slope. …. What to do now? Overtake and then get stuck anyhow on the second lane, embarrassing myself to death?! Or stop, step out into the biting cold to fetch the snow chains that had been messing around in the storage case for years? And when you have finally succeeded in mounting them, somebody else would have tried to overtake, and failed, and in the end not even the gritting-service would be able to pass. It’s a big advantage that I was persuaded by the Onspot staff from VBG Group TE on their stand during last year’s NUFAM fair. In the beginning I had been somewhat sceptic with my lowliner, as the arms with the chain wheels have to be slung under the drive axle. But luckily I had gone there with my truck, so the service technician had the opportunity to measure and check the mounting space available. At least with my tyre dimension of 305/60 R22,5” it should work and, I was lucky it worked out well! 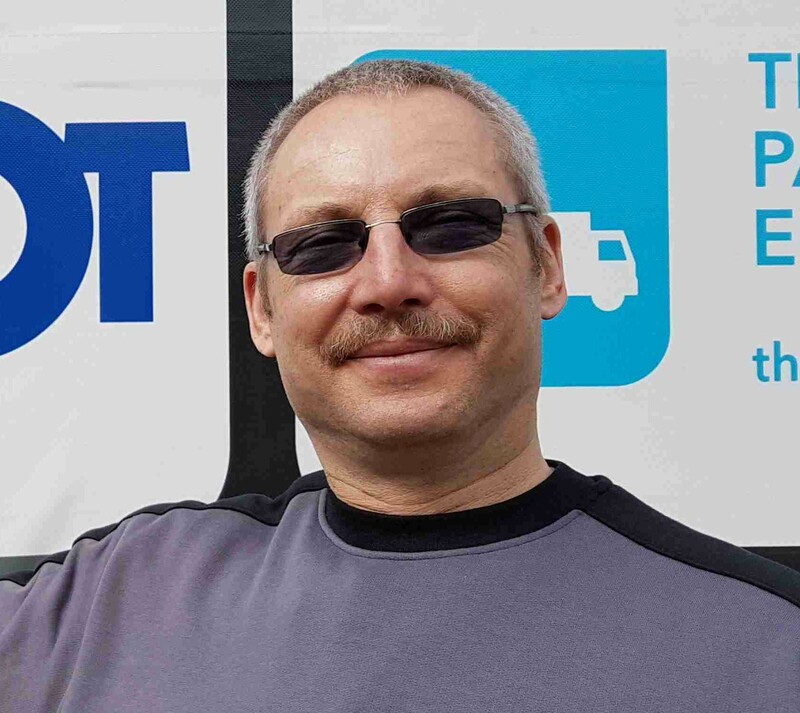 Karsten Glaschick is a forwarder and the owner of KaSaTrans e.K in Germany.He also drives the vehicles, lowliners. 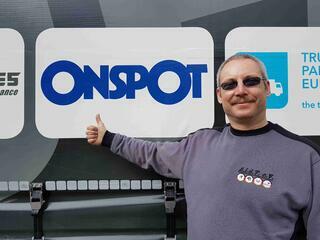 He is a guest blogger at Onspot´s International blog.